Comet 46P/Wirtanen is a small short-period comet with an orbital period of 5.4 years discovered by Carl A. Wirtanen in 1948 at the Lick Observatory, California, USA. The comet reaches perihelion (closest approach to Earth) on 12 December, 2018 and is expected to reach magnitude 3-4, well within naked eye visibility. This would make it the brightest comet since 2011. The comet will only be visible to the naked eye if you live away from city lights. If you can see the milky way during the summer from your location then you will be able to see the comet with your eyes alone. If you live in a city you have a good chance of seeing the comet with binoculars. If you live in a huge metro area like L.A. or NYC it will be difficult. No matter where you live you will want to try and see the comet from the darkest part of your yard, i.e. not under a street light and away from porch lights or any lights which may be shinning into your yard. Also give your eyes a few minutes to adapt to the dark when first going outside to look for the comet. 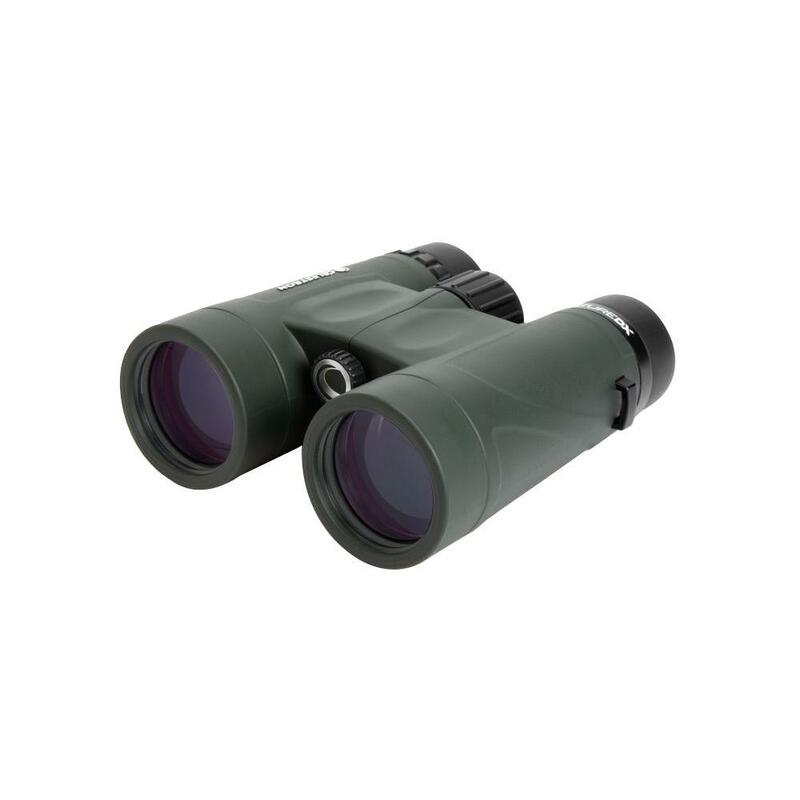 Binoculars come in various sizes. The first number is the magnification and the second number is the diameter of the biggest lens in millimeters (light gathering ability). So where is the comet? The comet is in the southern sky about 2/3rds of the way up from the horizon to straight up, about 60 degrees high looking south. The best time to see the comet is between about 9pm-11pm your local time. The first thing you need is a clear sky! 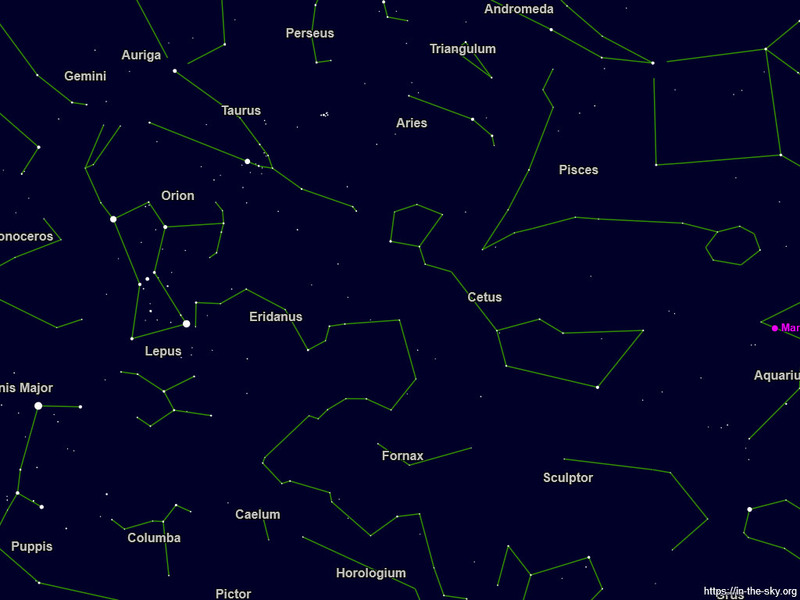 The image below is what the sky will look like looking south at about 10pm your local time. The bottom of the image is at about the southern horizon and the top of the image is about straight up. Note the constellation Orion and it is on the left center of the image. Most people should be able to easily spot the Onion constellation even in the city. Now we are going to identify three stars that will help find the comet, Rigel, Aldebaran and Menker. Note that Menkar forms a grouping of stars that resembles a pentagon. Menkar is the faintest of the three "helper" stars but will be faintly visible for most people. 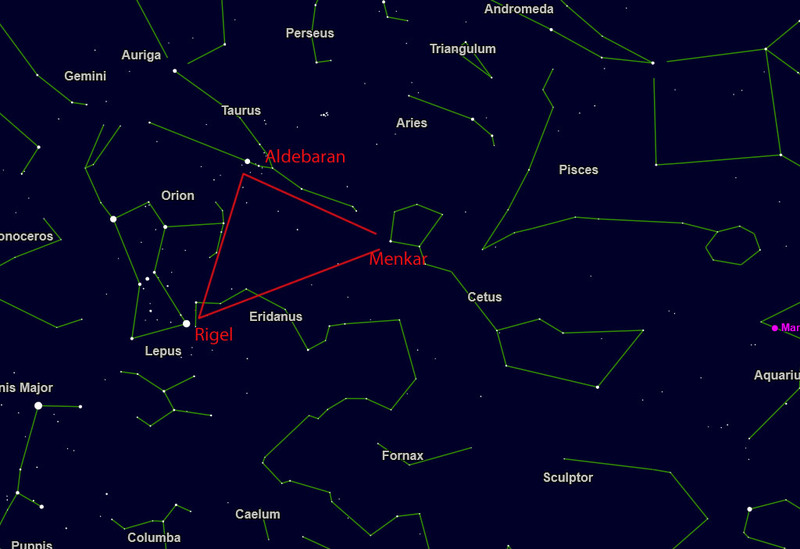 Menkar can be located by imagining an equilateral triangle with the other two stars. One you have located Menkar the comet can be easily located by the map below. The location of the comet changes every night and the dates of its position are marked on the image below. 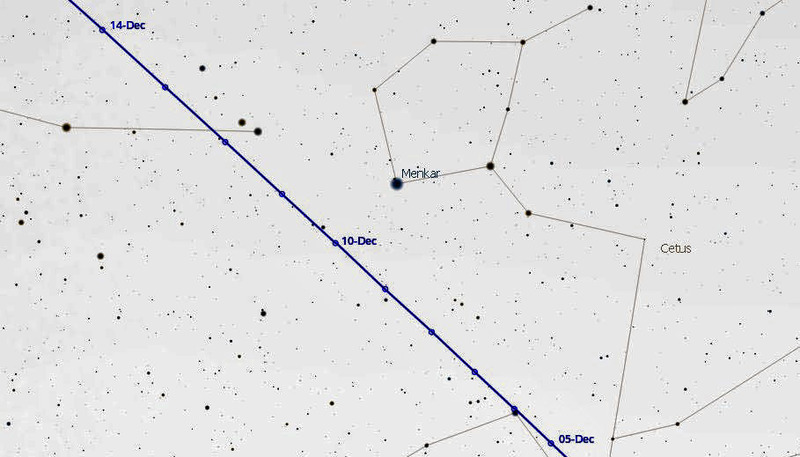 For example on the 10th of December the comet is located just to the lower left of Menkar. Also note that when viewing through binoculars the Pentagon grouping is about the same size or a little bigger than the field of view in your binoculars. The head of the comet will appear as a fuzzy ball. If you have fairly dark and clear sky, you may also be able to see the comet's faint tail in binoculars. The comet though a telescope. Thank you and very interesting! We finally got a clear sky in Houston last night so I got an image of the comet. Comet 46p did not really live live up to its hype/expectations. It was about 3 times dimmer than expected not a very attractive interloper. 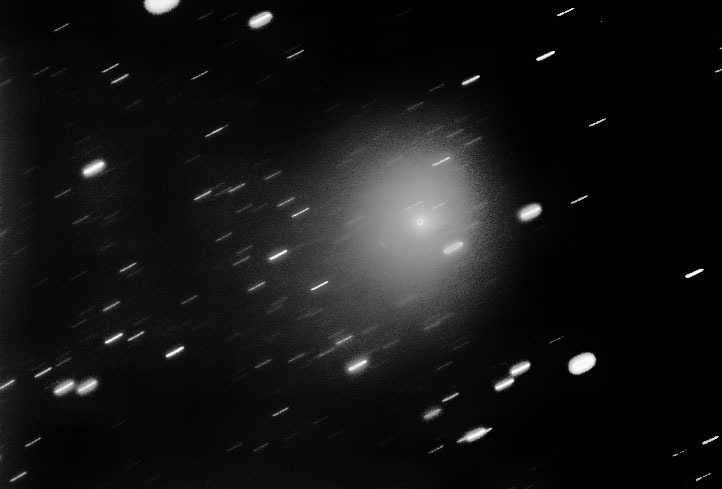 It is zipping along past Earth and a 10 minute exposure shows trailed stars while tracking the exposure on the comet. The image is with a 200mm focal length lens.